Book Description: All kids get scared, but some fears can escalate into paranoias with long-term ramifications. This step-by-step guide tackles the why, how, and what now of anxiety disorders. Written in everyday language, it describes in detail strategies and techniques parents can combine into a comprehensive self-help program for managing a child's worry while building confidence and self-control. Amazon.com: Recognizing each child's intellectual, emotional, and physical strengths--and teaching directly to these strengths--is key to sculpting "a mind at a time," according to Dr. Mel Levine. While this flashing yellow light will not surprise many skilled educators, limited resources often prevent them from shifting their instructional gears. But to teachers and parents whose children face daily humiliation at school, the author bellows, "Try harder!" A professor of pediatrics at the University of North Carolina Medical School, Levine eloquently substantiates his claim that developmental growth deserves the same monitoring as a child's physical growth. Magazine designed to serve as a resource for people with ADD or AD/HD or people who have children with ADD or AD/HD. It is editorial in it approach, leery of treatments that have not been fully tested, and up-to-date on recent research and developments in the field. This comprehensive guide to ADHD offers parents balanced, reassuring, and authoritative information to help them understand and manage this challenging and often misunderstood condition. Based on the American Academy of Pediatrics' own clinical practice guidelines for ADHD and written in clear, accessible language, this book answers the common questions: How is ADHD diagnosed? What are today's best treatment options? and Will my child outgrow ADHD? Accurate, up-to-date findings on evaluation and diagnosis, coexisting conditions, and unproven treatments are provided. Also addressed are behaviors associated with the teenage years and what schools can do to support children with the condition. ADHD management strategies that balance the roles of behavior therapy, medications, and parenting techniques are suggested. Book Description: In honest and straightforward language, this comprehensive guide describes how to recognize the symptoms of Attention Deficit Disorder (ADD), how to best treat it, and how to handle its effects in everyday situations. Parents, teachers, physicians, and mental health professionals benefit from learning the latest on medication treatment for the disorder that affects approximately 20 million children and adults in the United States. This guide helps ADD individuals and their friends and families to understand ADD and to better serve the needs of ADD children and adults in school, workplace, and social situations. Book Description: This is a comprehensive guide for successfully parenting children with ADD and hyperactivity. Written by professionals who are also parents, it is a well-researched reference highlighted with real-life experiences and packed with proven solutions to help families. Amazon.com: Medication? Maybe. Marry the right person and find the right job? A must if you are an adult suffering from ADD (Attention Deficit Disorder). So say psychiatrists Edward M. Hallowell and John J. Ratey, authors of the influential Driven to Distraction, published in 1994. In their new book, Delivered from Distraction, Hallowell and Ratey survey the current medical landscape concerning ADD, combining their own clinical observations with the latest research to paint a much more complex and, in many ways, positive picture of the condition than has generally been presented. Amazon.com: This clear and valuable book dispels a variety of myths about attention deficit disorder (ADD). Since both authors have ADD themselves, and both are successful medical professionals, perhaps there's no surprise that the two myths they attack most persistently are: (a) that ADD is an issue only for children; and (b) that ADD corresponds simply to limited intelligence or limited self-discipline. "The word disorder puts the syndrome entirely in the domain of pathology, where it should not entirely be. Although ADD can generate a host of problems, there are also advantages to having it, advantages that this book will stress, such as high energy, intuitiveness, creativity, and enthusiasm, and they are completely overlooked by the 'disorder' model." Is Your Child Hyperactive? Inattentive? Impulsive? Distractable? Book Description: Attention, girls with AD/HD! Finally there is a book written especially for you-–a for-your-eyes-only look at what it is like to have AD/HD, and great advice on how to cope with it. THE GIRLS’ GUIDE TO AD/HD explores the good stuff, not-so-good stuff, normal stuff, brain stuff, and truthfully, the stuff that isn’t in any other book out there on AD/HD. Really! This book is designed as the perfect learning tool to help parents guide their child as he or she confronts the challenges of ADHD. Learning to Slow Down is unique because it is kid-centered, written from the child's point of view. Book Description: A ground-breaking book on the needs and issues of girls with attentional problems: why they are often undiagnosed, how they are different from boys, and what their special needs are in school, in their social world and at home. Age-related checklists from pre-school to high school help parents and professionals better identify and help girls with AD/HD. Book Description: This book addresses the millions of withdrawn little girls and chronically overwhelmed women with ADD who go undiagnosed because they don't fit the stereotypical notion of people with ADD. They are not fast-talking, hyperactive, non-attentive, and they are not male. Though the book focuses on ADD, much of what is said also applies to women with ADHD - Attention Deficit Hyperactivity Disorder. Book Description: ...an ideal reference for the parent of a child challenged with autism, ADD, Down Syndrome, cerebral palsy, language and speech problems, or other disorders...teaches parents how to stimulate intellectual and emotional growth in the child. Book Description: Most children fall into five basic personality types that stem from inborn physical characteristics: the sensitive child, the self-absorbed child, the defiant child, the inattentive child, and the active/aggressive child. Stanley Greenspan, M.D., is the first to show parents how to match their parenting to the challenges of their particular child. He identifies and vividly describes these five universal temperaments and then, with great empathy, shows parents how each of these children actually experiences the world and how to use daily childrearing to enhance an individual child's strengths and talents. Book Description: The purpose of the Affect-Language Curriculum (ABLC) is to provide families, therapists and teachers a systematic, intensivee program based on both new insights and tradional knowledge of the development of communication and language. The curriculum utilizes affect and engagement with pleasurable back-and-forth reciprocal interactions as the foundation for the development of imitation, pragmatics, and receptive and expressive language. The authors present movement differences as part of the spectrum of human diversity affecting action, speech, perception, and emotions. Differences can become disturbances, mask competencies and reflect negatively on persons labeled retarded, autistic, or similarly disabled. Accommodations tailored to each person's unique pattern of movement difference and diversity can promote communication, reveal competencies and restore dignity to people who have too often been marginalized by society. Highly recommended. For any caregiver experiencing life with a bipolar child, Demitri and Janice Papolos's The Bipolar Child will be an indispensable reference guide. The material is presented clearly, with lots of helpful charts and lists to aid in receiving proper diagnosis, treatment, and long-term care. All medical information is relayed with the aim of helping parents to ensure effective treatment for their children and includes journal-tracking formats to help caregivers provide accurate information to personal physicians. Importantly, many pages are devoted to discussions about the emotional upheavals that living with a bipolar child can bring, and how parents and children can cope most effectively. The book is filled with families' stories that do a beautiful job providing comfort and inspiration to others. A detailed chapter on hospitalization covers everything from insurance to types of treatments. The authors provide excellent information regarding improved educational practices, with step-by-step instructions for goal-setting with your child and communicating your child's needs to school personnel. Inside Flap Copy: "Sensible advice on how to give up childhood, accept yourself and your own maturity and deal with life on your own two feet." DALLAS TIMES HERALD: In this unique, bestselling question-and- answer guide to self-love and acceptance, two practicing psychologists (who are also married to one another) reveal the secret of pursuing happiness, by revealing to ourselves what we think we are striving for, and what it is that keeps us from achieving our goals. NTSC format (US and Canada only. This VHS will probably NOT be viewable in other countries. Schwab Foundation for Learning, 1998: Practical guide for pros and cons of public and private schools, highlights different types of schools, identifies the best match. "The homework battles are fought in thousands of kitchens throughout America every weekday evening. Finally, an effective and pragmatic guidebook has arrived to help parents in this struggle"
Book Description: Offering advice for teachers eager to develop better discipline in the classroom, this guide provides practical methods for eliminating disruptive behavior, encouraging productive work habits, and communicating with parents. Clear lessons and straightforward language reveal how to measure discipline in a classroom environment, as well as how to handle difficult situations, such as transition times, assemblies, lunchtime, and field trips. A separate chapter for school administrators explains how to support classroom teachers in creating discipline and how to evaluate those teachers. Parentmagic, Inc. (September 28, 2004. About the Author: Dr. Parker is co-founder and former Executive Director of CH.A.D.D. He currently serves on the CH.A.D.D. Board of Directors and was inducted by CH.A.D.D. into the ADD Hall of Fame in 1994. He played an instrumental role in encouraging the U.S. Department of Education to clarify the responsibility schools must assume in providing appropriate educational services to students with ADD. Dr. Parker has authored and co-authored a number of publications on attention deficit disorder including "The ADD HyperactivityWorkbook for Parents, Teachers, and Kids" and "Put Yourself in Their Shoes: Understanding Teenagers with Attention Deficit Hyperactivity Disorder." He has appeared on national television shows including 20/20 and The Today Show. Book Description: What can you do to help students with Attention Deficit Hyperactivity Disorder in your classroom? Filled with the most effective strategies and ideas‹from establishing classroom and homework routines, to peer tutoring and monitoring‹to improve learning and behavior for a range of ADHD children. Includes background, resources, and practical checklists. Provides information to teachers and parents to aid in the teaching of students with attention deficit hyperactivity disorder, Tourette Syndrome or Obsessive-Compulsive Disorder. NTSC format (US and Canada only. As many as one in five families are coping with children who struggle to learn. Many of these children don't fit any clinical diagnosis, but for some reason, they aren't learning. 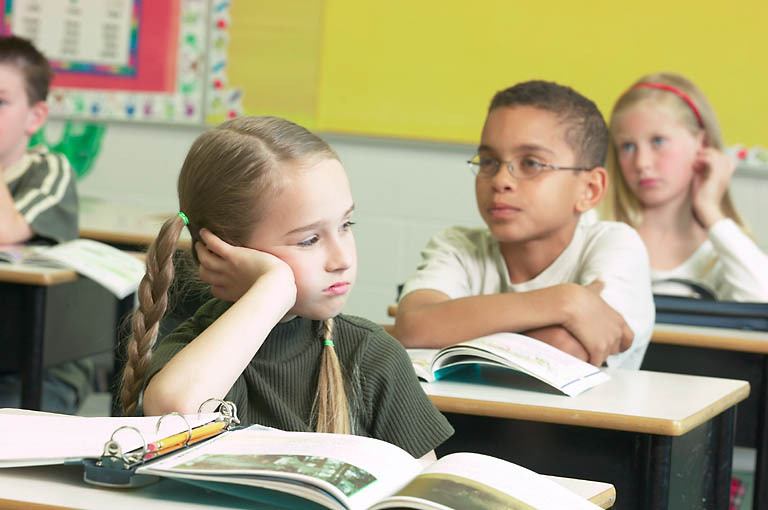 Though these children may be suffering from debilitating learning problems, they are often mistakenly called "lazy" or "stupid" by teachers, classmates, and even by their parents. But learning specialists believe that they now possess a key that will ultimately help struggling students, their parents, and teachers better identify and manage learning problems--each mind works differently and has its own unique strengths and weaknesses. Misunderstood Minds illustrates the emerging view that specific identification and customized management of learning problems is the key to success for the millions of children struggling in school. Misunderstood Minds features leading experts in the field of learning problems, including Mel Levine, M.D., G. Reid Lyon, Ph.D., Edward M. Hallowell, M.D., and Richard D. Lavoie, M.A. M.Ed. 90 minutes. This program looks at the world through the eyes of a child with learning disabilities by taking you to a unique workshop attended by parents, educators, psychologists, and social workers. There they join in a series of classroom activities that cause frustration, anxiety and tension – emotions all too familiar to the student with a learning disability. By dramatizing the classroom experience so vividly, Lavoie lets us see what children with learning disabilities experience everyday. Then, at the end of the program, he discusses strategies for working more effectively with children who struggle. Available only from the LDOnline Store (VHS, DVD or PAL).